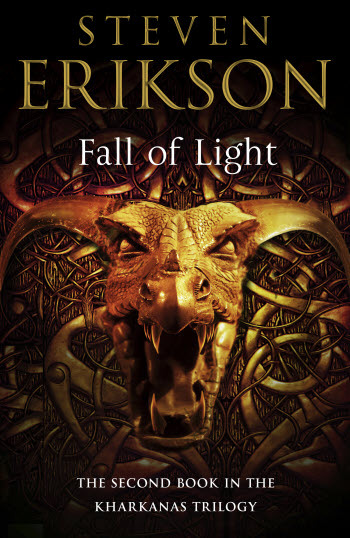 Thanks to the generosity of the folks at Transworld, I have a copy of Steven Erikson's eagerly anticipated Fall of Light up for grabs! For more info about this title: Canada, USA, Europe. The officers and leaders of Urusander’s Legion, led by the ruthless Hunn Raal, want the Consort, Draconus, cast aside and their commander to marry Mother Dark and take his place at the side of the Living Goddess. But this union will be far more than simply political. A sorcerous power has claimed those opposing Mother Dark: given form by the exiled High Priestess Syntara, the Cult of Light rises in answer to Mother Dark and her Children. The rules are the same as usual. You need to send an email at reviews@(no-spam)gryphonwood.net with the header "FALL." Remember to remove the "no spam" thingy. Is this global or restricted to US/Canada? C. J. Cherryh contest winner! Richard A. Knaak contest winners!